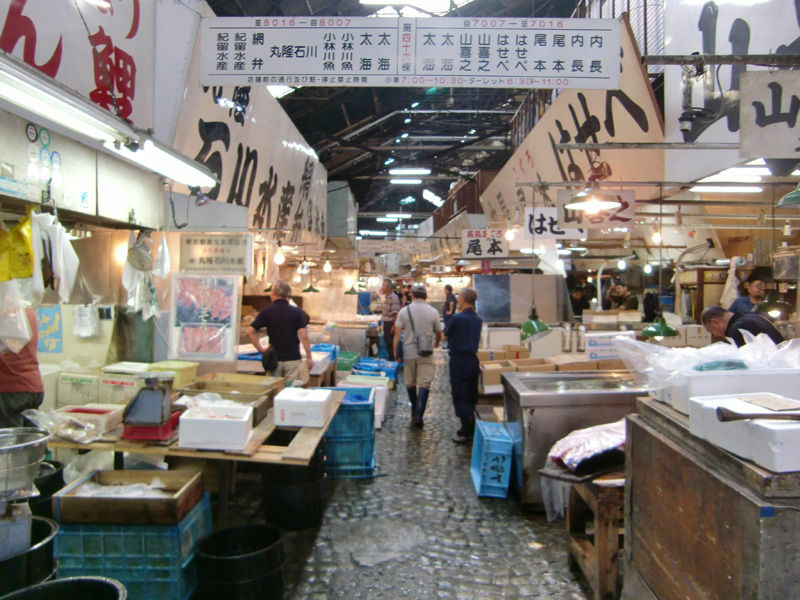 Tsukiji Market is one of the largest wholesale market of food, vegetable and fish. But it is famously known for its Fish market. It is said that in the beginning of the Edo Era, a fish market was established in the riverside or Uogashi. Because the population was increasing and so was the demand, the Uogashi was developed and reformed into a new market. Wholesale merchants used to buy the fishes and then sold them to jobbers in the market. And doing so the market became successful and famous. But in the year 1923 lots of markets were destroyed in all over japan by earthquake called “Kanto”. It was off course a big loss for everyone related to Tsukiji market. 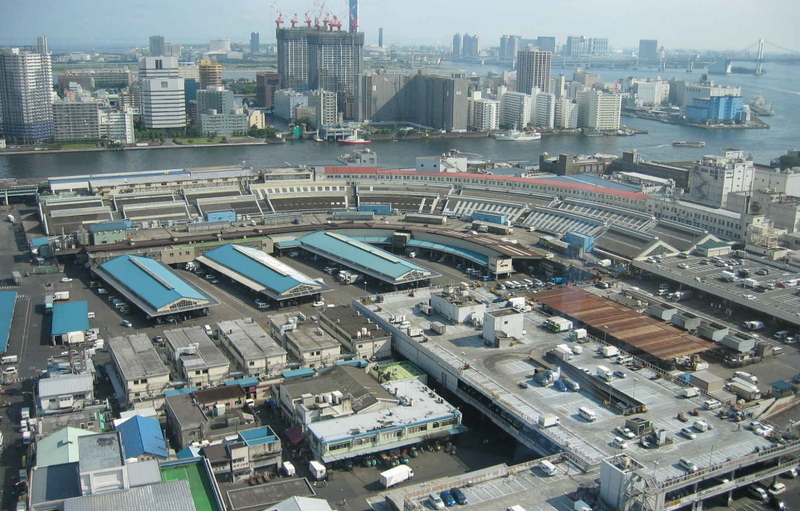 After that earthquake in the same year, on the bases of Central wholesale market law they decided to built a new central wholesale market in Tokyo. As a result of this, lots of other markets such as Koto, Kanda and Tsukiji were founded and the growing population then led to a succession of new markets. And now Tsukiji Market is one of largest wholesale market of fish in the world, handling more than 2200 tonnes of marine products every day. There are lots of area to be visited such as Tuna Auction and wholesale area. The auction area can be visited only between 5:00 am to 9:00 am. On busy days it is very difficult to get it, but some lucky people can get chance to view the auction from a particular designated visitor area. If you are in Tokyo for a trip or travel, we recommend you to go and visit the place. You must enjoy it. The Market is just above Tsukiji Shijo Station on the Oedo Subway Line. Also, it can be reached in a five minute walk from Tsukiji Station on the Hibiya Subway Line. The nearest JR station is Shimbashi, from where walking distance is only about 15 minutes.